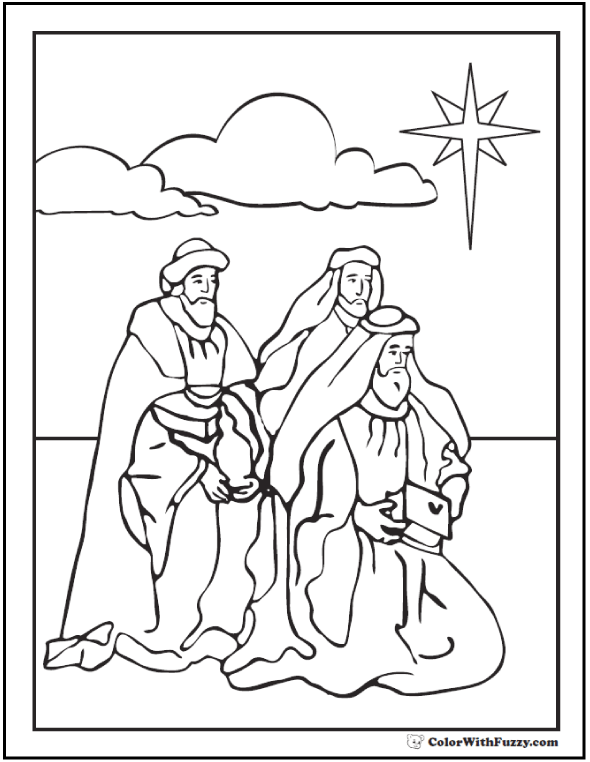 I like this Wise Men coloring sheet after Christmas in January when they visited Baby Jesus. It's complete with their gifts and the star. It is a wonderful coloring picture for the Christmas season.